Organizational climate has been proposed as a factor that might influence a school’s readiness to successfully implement school-wide prevention programs. The aim of this study was to evaluate the influence of teachers’ perceptions of three dimensions of school organizational climate on the dosage and quality of teacher implementation of Positive Action, a social-emotional and character development (SECD) program. The dimensions measured were teachers’ perceptions of (a) the school’s openness to innovation, (b) the extent to which schools utilize participatory decision-making practices, and (c) the existence of supportive relationships among teachers (teacher-teacher affiliation). Data from 46 teachers in seven schools enrolled in the treatment arm of a longitudinal, cluster-randomized, controlled trial were analyzed. Teacher perceptions of a school’s tendency to be innovative was associated with a greater number of lessons taught and self-reported quality of delivery, and teacher-teacher affiliation was associated with a higher use of supplementary activities. The findings suggest that perceptions of a school’s organizational climate impact teachers’ implementation of SECD programs and have implications for school administrators and technical assistance providers as they work to implement and sustain prevention programs in schools. This project was funded by grants from the Institute of Education Sciences (IES), U.S. Department of Education: R305L030072, R305L030004, and R305A080253 to the University of Illinois, Chicago (2003–2005) and Oregon State University (2005–2012). The initial phase (R305L030072), a component of the Social and Character Development (SACD) Research Consortium, was a collaboration among IES, the Centers for Disease Control and Prevention’s (CDC) Division of Violence Prevention, Mathematica Policy Research Inc. (MPR), and awardees of SACD cooperative agreements (Children’s Institute, New York University, Oregon State University, University at Buffalo-SUNY, University of Maryland, University of North Carolina-Chapel Hill, and Vanderbilt University). Funding for this project was sponsored in part by NIAAA T32 AA014125. The SACD research program includes multi-program evaluation data collected by MPR and complementary research study data collected by each grantee. The findings reported here are based only on the Chicago portion of the multi-program data and the complementary research data collected by the University of Illinois at Chicago and Oregon State University (Brian Flay, Principal Investigator) under the SACD program. The findings and conclusions in this report are those of the authors and do not necessarily represent the official position of the Institute of Education Sciences, CDC, MPR, or every Consortium member, nor does mention of trade names, commercial products, or organizations imply endorsement by the U.S. Government. Correspondence concerning this article should be addressed to the author. We are extremely grateful to the participating Chicago Public Schools (CPS), their principals, teachers, students, and parents. We thank the CPS Research Review Board and Office of Specialized Services, especially Drs. Renee Grant-Mitchell and Inez Drummond, for their invaluable support of this research. The research described herein was conducted using the program, the training, and technical support of Positive Action, Inc. in which Brian Flay’s spouse holds a significant financial interest. Issues regarding conflict of interest were reported to the relevant institutions and appropriately managed following the institutional guidelines. Cook, J. M., O’Donnell, C., Dinnen, S., Coyne, J. C., Ruzek, J. I., & Schnurr, P. P. (2012). Measurement of model of implementation for health care: Toward a testable theory. Implementation Science, 7. doi: 10.1186/1748-5908-7-59. Damschroder, L. J., Aron, D. C., Keith, R. E., Kirsh, S. R., Alexander, J. A., & Lowery, J. C. (2009). Fostering implementation of health services research findings into practice: A consolidated framework for advancing implementation science. Implementation Science, 4. doi: 10.1186/1748-5908-4-50. Kallestad, J. H., & Olweus, D. (2003). 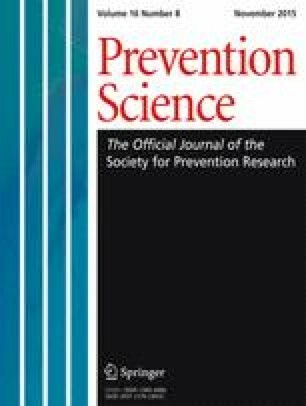 Predicting teachers’ and schools’ implementation of the Olweus Bullying Prevention Program: A multilevel study. Prevention and Treatment, 6. doi: 10.1037/1522-3736.6.1.621a.